A crusty, eccentric priest recruits three reluctant convicts to help him rescue a children's leper colony from a Pacific island menaced by a smoldering volcano. An old Cuban fisherman's dry spell is broken when he hooks a gigantic fish that drags him out to sea. Based on Ernest Hemingway's story. Pat is a women's sports sensation unless her fiancé is around. Her new shady manager Mike keeps them apart and develops feelings for her. Zachary Teller: You're sweating! Thinking of the dead men's money is making you sweat! I blame myself. It's my fault for you being like this. Somewhere I must have done something wrong for you to be like this. Christopher 'Chris' Teller: You're not going to take me up there? This is just one of those movies that never gets old. I love the movie Spencer Tracy is one of the best actors of all time. They just don't make them like him anymore. The action and the drama is top of the line. Go out and Rent this or watch it when it shows up on AMC or TCM or on your local TV station at 2 am when ever you get the chance. You will not be disappointed. This is one of those movies that could never be remade in todays Market. Just who could replace Spencer Tracy or even Rober Wagner. 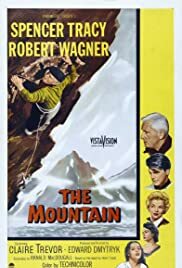 I don't know what else to say about a movie in which climbing a Mountain could keep you interested for 90 minutes. Just the bond between the Brothers is such a great story Enjoy the movie.